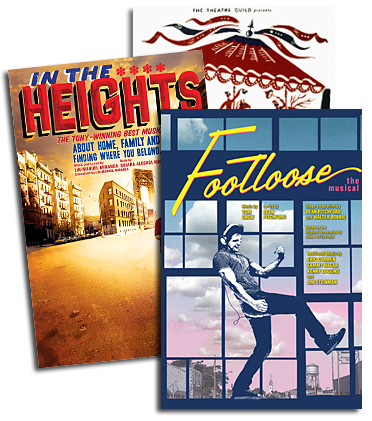 TRACE THE MUSIC In late March, New York City Center's Encores! Great American Musicals in Concert presented the first full-scale restoration of the sharply satirical 1932 Broadway revue, Face the Music. 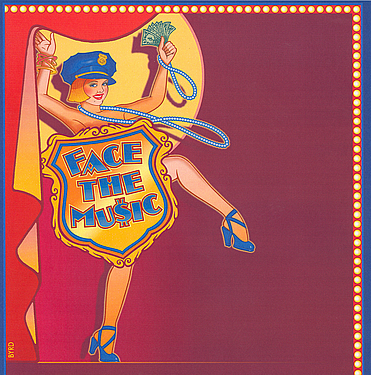 With songs by Irving Berlin and a book by Moss Hart, Face the Music is a classic of the revue genre, and introduced such Berlin classics as ""Let's Have Another Cup Of Coffee"" and ""Soft Lights And Sweet Music."" Since Face the Music had not been seen or heard in a full orchestral performance in 75 years, R&H Director of Music Bruce Pomahac took on the Herculean task of restoring the materials, through a combination of passionate knowledge, a keen sense of history and painstaking detective work. Here is Pomahac's own chronicle of his musical archaeology. When Encores! first inquired about Face the Music, the search for its original musical materials began with the Irving Berlin Collection at the Music Division of the Library of Congress in Washington, D.C., where the Berlin family had donated a great deal of material after Berlin's death. It was my task to look through the collection and see what was there. I discovered that the set of orchestra parts played in the original 1932 Broadway production was all that remained. This was good news - but only half good news. The best situation for a restoration is also to have the full orchestral scores and the conductor's score, neither of which was anywhere to be found then and both of which continue to be lost today. It soon became clear that the original production had been altered at least twice - once when it toured after the initial Broadway run and again when the tour returned to Broadway for a few months. The alterations were made to the parts themselves, and these included cuts, transpositions and other modifications. The Overture was especially confounding since it seemed that some of the lesser-known songs it had originally contained had been replaced by standard dance band arrangements of songs that had become more popular on the radio with dance bands. The replacements were either newly copied and inserted into the parts, or simply pasted over the originals. Unluckily, pages from some books - including bass and drums - had been removed, and were lost. Luckily, though, three instruments - oboe, guitar and viola - were not used on the tour so these parts remained untouched and provided the best guide we had to what the Broadway production was originally intended to be. Because musicals are always changing in rehearsal and performance, we continued to search for more clues that could help guide us. For starters, there were no lyrics in the parts. (These tend to be in the conductor's score; again, that was missing.) So to find the correct lyrics and then assign them to the correct music, we had to look at the various versions of the script that exist (none clearly indicating it was the show as performed on opening night), Irving Berlin's piano and voice manuscripts, as well as The Complete Lyrics of Irving Berlin, which was published in 2001. We also looked for any scribbles at the top and bottom of the pages that could help us solve the puzzle. To create a full modern restoration, new full orchestral scores had to be configured from the existing set of parts. But before that could happen, we needed to remove any paste-overs to see what was underneath. This proved to be a tricky request and one that was enormously costly and time consuming. Interestingly, one song was found at the Shubert Archive in New York, and that song's paste-overs simply fell off the page! What was revealed gave us more needed information about how the original songs were placed, arranged and routined. Each separate instrumental part, note by note and measure by measure, was entered into a computer file. Then the sleuthing began in earnest. Slowly, we began to identify what had been sung refrains (those would have occurred where the orchestrations were lighter in order to accompany acoustic solo voices) and what had been dance arrangements (fully orchestrated sections over which singing would probably not have been possible). Nowhere were there indications of vocal harmonies and no choral parts were found. Ultimately we came to believe there might not have been much choral arranging in the original production. Once the full score was as complete as we could make it, we began to correct the errors and edit the dynamics and articulations. As is often the case, these contradicted themselves. For example, the trumpet part for one song had a penciled in ""f"" (loudly) while the flute had a ""p"" (softly) penciled in at the same spot. Was the original musical director being that specific or did different players confuse what may have been last minute or confusing instructions? Sometimes staccato (short) notes were indicated in one part while another had the same notes marked to be played legato (smoothly). Once we had created a draft of the computer-generated set of parts, it was time to turn to live musicians - so much is clarified by listening, and often what we hear helps to fill in the blanks and then make determinations about what needs further clarification. So last April we assembled the Encores! orchestra in a studio with Rob Fisher (music director and conductor for Encores!) on the podium. Many a conundrum was resolved by simply listening. And the musicians themselves were helpful as well. Their questions and their answers to our questions brought us all closer to what we all believed was a suitable representation of how the music had been performed over 70 years ago. Without original full scores, we were not able to identify which of the original three orchestrators (Robert Russell Bennett, Maurice De Packh and Frank Tours, the show's original conductor) created which orchestrations. Those of us who have been around Encores! since its earliest days had fun guessing. But we'll never know for sure until one day some attic trunk is opened somewhere and those missing full scores are found. It is impossible to say that the finished product Encores! presented in late March was a perfect representation of opening night in 1932. Based, however, upon the knowledge we have available to us and the expertise of those of us who have been at this for a while, we came, for the time being, as close as we could. [Editor's Note: Encores! included some songs that had been cut from the show originally, and thus had to be newly orchestrated.] Perhaps the hardest part of all is resisting the temptation to want to fill in what is missing with our own personalities. Every restoration requires us to dig deeply into the artistic and human impulses of the original creators as we try to match the shadows of what isn't on the page with what has managed to survive. Sometimes it can take real discipline to sublimate one's own ego to the egos of long dead (and no longer meddlesome) creators. After all, the audience isn't interested in what any of us think Irving Berlin and his orchestrators and arrangers were up to. They want to know exactly what Mr. Berlin and his team had in mind. Trying to uncover that truth is the core of the mystery of every restoration. And each score has its own unique secrets waiting to be unlocked. Thinking back to our first trip to the Library of Congress, I am amazed by what has been accomplished with Face the Music. My thanks go to the support we received from the Berlin family and to the R&H team of musical and computer specialists: Wayne Blood and Ben Lively, who never fail to ask the right questions. I can't help but wonder what echoes of long silent musical shows are still out there waiting for the downbeat that will bring them back to life. I only hope I'll be there when they turn the key and another door begins to open. NOTE: Face the Music received glowing reviews at Encores! and plans are afoot to preserve that performance on a new CD cast recording. Script and musical materials are also being prepared for stock and amateur licensing. Performance rights are not yet available so please watch this space and our website for more news about the show.